Hulu’s corporate owners are currently mulling bids from three would-be buyers: Amazon, Yahoo, and the Dish Network. And then there’s Google. The search giant has also made an offer for the video site, but it seems to be playing a different sport than the rest of its peers: Rather than bid on what Hulu’s owners have offered for sale, Google has proposed a different acquisition, on a larger scale, say people familiar with the sales process. I don’t have details on the Google offer. And there’s some debate about whether Google has actually made a formal bid yet, or has simply indicated that it’s still willing to spend a lot of money. But by looking at what Google’s competitors are offering, you can get a sense of what’s in play. As the Financial Times reported this weekend, Yahoo, Amazon and Dish are all expected to offer between $1.5 billion and $2 billion for Hulu, in exchange for the free video site, its subscription service and the rights to exclusive content for at least two years. Google seems to want something much more than that, and is willing to pay much more to get it. If you want to speculate, you could imagine Google asking for access to more content, for a longer period of time, and perhaps offering up a couple billion dollars more. Since that’s not what Hulu’s owners have put on the table, “normally we would have thrown people out if they’d said that,” says an executive familiar with the sales process. But Google “indicated that there’s enough money” involved so that Hulu’s owners are at least thinking about continuing the discussion. One big problem with the Google proposal: Hulu was created in large part as the TV networks’ response to YouTube, and their fear that Google would swallow up the Web video ecosystem. And in large part, Google has. YouTube is by far the biggest video site in the world, and the one part where it’s struggled is in landing long-form premium content that Hulu owns. So are the networks any more willing to hand over their most valuable programming today? On the other hand, you can see how an over-the-top bid would appeal to Google CEO Larry Page, who has been making some sweeping moves since he stepped into office in April. Google executives made a point of saying that their $12.5 billion deal for Motorola wouldn’t stop them from making other big acquisitions. And since any big-ticket buy Google proposes is going to get heavy government scrutiny anyway, why not make it worth Google’s while? 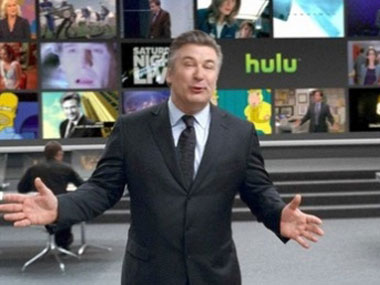 Still, Hulu’s owners don’t seem entirely convinced that they want to sell the site at all. Disney CEO Bob Iger told reporters earlier this summer that he intended to sell the site, but News Corp. chief operating officer Chase Carey has floated the notion Hulu’s owners will hang on to it. (News Corp. also owns this Web site). We may hear more soon: Hulu’s owners are scheduled to discuss the array of bids later this week.